A two-in-one time saver! Exfoliates and hydrates in one step. Your skin feels like velvet. Dr. Grandel Sugar Scrub is a “two in one” unique body product. Because it exfoliates and moisturizers in one quick step. So it’s also a time saver. Jojoba oil adds needed moisture to rough dry skin. And soft, exfoliating sugar crystals gently take away dry skin flakes. And its cleansing, too. Skin texture improves. Your skin feels silky smooth. And the skin looks bright! This wonderful scrub leaves your skin feeling relaxed and pampered. You’ll love the texture. 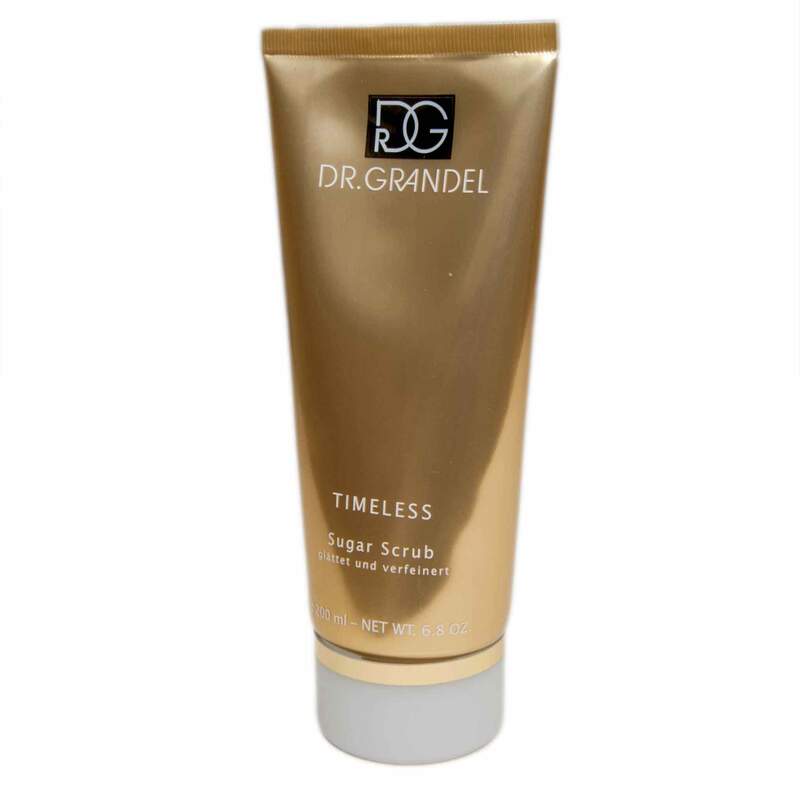 Dr. Grandel Sugar Scrub leaves the skin feeling soft and looking flawless. And it’s all in one– smoothing body peeling and added hydration. As well as cleansing. Gentle enough exfoliant for sensitive skin areas such as the décolleté. And your skin will look amazing – so smooth and brightened. Recommend use is twice a week. Massage into the skin and then rinse or shower. And your skin will feel fabulous. Our Spa clients have commented on how well this scrub works on very rough areas, such as knees and elbows. And they love the wonderful, light scent. One client calls it “sensual“. Massage into dry skin using circular movements before a bath or shower. Then wash off under the shower or with a warm, damp wash mitt.